On 13th December East Lindsey District Council voted against allowing the development of 149 homes on land near to Fulmar Drive. No doubt this will come as a relief to the local residents who voiced strong objection to the plans put forward by the developers Taylor Wimpey. The vote went eleven against to one in favour. But it's not over. The decision will now go to the secretary of state in an appeal, although I don't know when that will happen. The gov.uk website mentions the government's plans to speed up the planning process through new legislation. I don't know whether "speed up" translates to "approve nearly everything because we need the houses and it stimulates the economy"? The final figure for the petition to Save Louth Ambulance station was 3033 signatures. Jackie Featherstone and Councillor Trevor Marris took it to Nottingham to hand in at the EMAS headquarters. EMAS have now ended their consultation, so they'll be looking at all the feedback they've got, tearing up their old plans and trying again. Maybe. 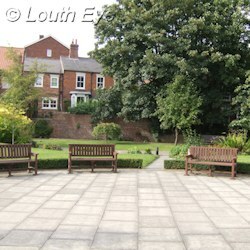 Last week I wrote about The Louth Town Partnership's presentation to the town council, and what that might mean for the town. Shortly after, Biff Vernon contacted me to let me know about a few things I'd missed. The LTP run a website at http://www.louthlincs.org/, although http://www.louthpartnership.org.uk/ used to redirect to this address but it no longer does. On the main LTP website the environment section at http://www.louthlincs.org/environment now displays a "page not found" message (which is why I'm not linking to it directly). Now, in isolation these things look like no more than the kind of minor accidental omissions and errors that happen all the time. However these are the external signs of a dispute between Mr Vernon and the trust over the direction, scope and transparency of its activities. Mr Vernon has worked on the partnership's website, and was responsible for creating much of its content. He's in dispute over the copyright of the work he has created, and its continued use by them. But the roots of this concern a debate about the group's transparency, and its involvement with local environmental causes. Biff Vernon argues that the partnership should be more open in its dealings. He told me this in an email: "I have always argued that the minutes should be published, that we should be open and transparent in all that we do, that members of the public should be allowed to attend as observers all meetings." I asked Patrick Neville, the acting chairman, about this issue. This was his reply: "Regarding transparency, I can�t see how we could be more open. Our annual general meeting in June is advertised in the media and is open to the public along with our accounts and the minutes of the previous AGM. Anyone can ask any question they like, and anyone can nominate for election to the Board." So that's some transparency, but not for every meeting. The reason this level of scrutiny matters is that the partnership is funded partly by public money. Currently this takes the form of an ELDC grant, and whilst this is due to diminish in the future the group have also suggested that Louth Town Council consider funding a town manager. "We will continue to support those projects and activities the Board considers best represent the interests of the Louth community and which are included in the LTP Business Plan. The REAL programme and Bee Festival activities I understand are being managed directly by Transition Town Louth." 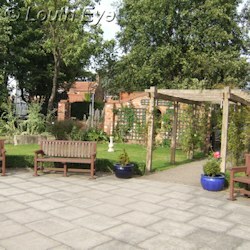 As part of Louth in Bloom, Spout Yard Trust have been awarded a "Jewel of Louth" certificate for the park's well-maintained gardens and kiosk. The certificate will be awarded by the Mayor at Sessions House, at 7pm on Tuesday 18th December (today).